Have you seen the new show about aquariums and aquarium fish on Animal Planet? It's called "Tanked" and it's a great source of information about fish tanks and our fish who inhabit them. It's also entertaining and a show that all of us who love our fishy friends enjoy watching. It's a reality t.v. show about a family-owned fishtank building business and so there is some drama and comedy over the tight situations they get into because they are always under a deadline. They build fantastic fishtanks to order. On the most recent episode, Tracey Morgan, a comedian from Saturday Night Live asked them to build him a gigantic aquarium in his basement. They couldn't say "No" to him and so had to figure out how to get the job done because there seemed to be no way to get the parts for the tank down the stairs due to the large size he requested. This episode shows how they will get the job done no matter what it takes. 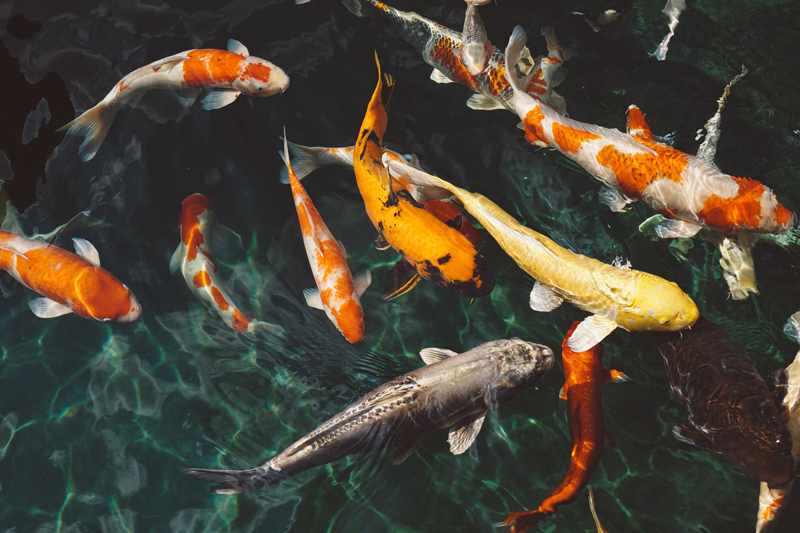 Also, whatever you can dream up, they will find a way to custom make it for the customer and deliver it and assemble it and get all the correct fish in it safely - carefully choosing compatible fish for that specific aquarium community. For this fishtank, Tracey wanted a shark tank. They created a community of fish compatible with the sharks - which were flown in from Bali. They chose manta-rays to get along with the sharks for example. There is an interesting explanation of the body construction of a ray and how it is safe to put both these species in the same tank to live happily together. The decorations in the tank were all original. They went with the shark theme and built a shark and a boat like in the movie "Jaws" to put on the outside of the tank. If you get a chance, take a look at this informative aquarium show on the Animal Planet website under "Tanked". While you're there, you may also like to see the episode about a large L-shaped fishtank built for a company and how they build coral onto it and also made a custom-made replica of a scuba-diving dog that is their mascot. It was an interesting addition to the aquarium with a bubbler in it for the fish. All the wonderful tropical fish that they chose to live together in the tank enjoyed swimming through the bubbles. It's worth it to watch and listen to the decisions made on which amazing fish to choose to live in this tropical community.